Ocean's Foam is hand forged in anti-tarnish Argentium Sterling silver, and frames an artisan cut Chrysocolla cabochon. Accented with pierced detailing on the reverse, this pendant is uniquely designed for a one-of-a-kind stone. 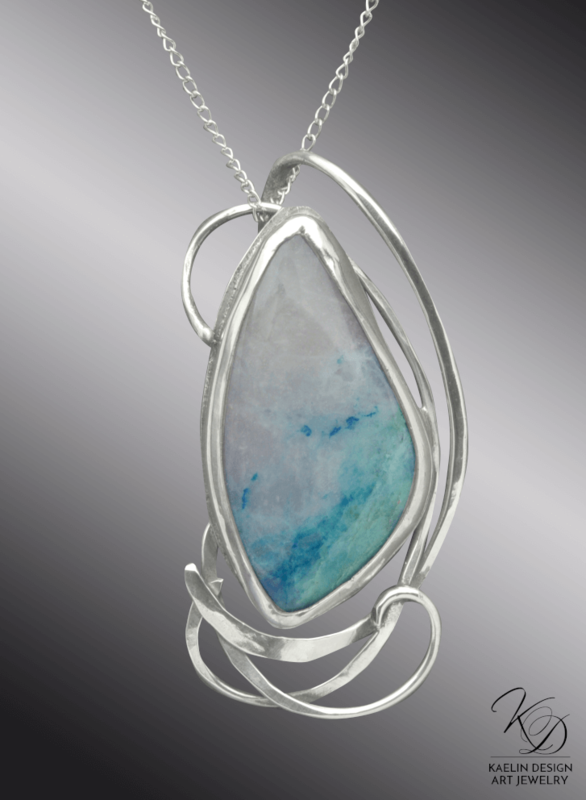 Delicately blue, fading into white, this elegant stone pendant shimmers with the colors of the open ocean.